One of the surprising joys of my brief stint in the 90s as a teacher back in the Slavic motherland was being able to catch tons and tons of old Czech and Polish films. Some of them featured these truly epic battle scenes. A personal favorite is the trilogy of films on the Hussite rebellion and wars from the Czech director Otakar Vavra. Now here's some inspiration for the end game of a campaign, no? 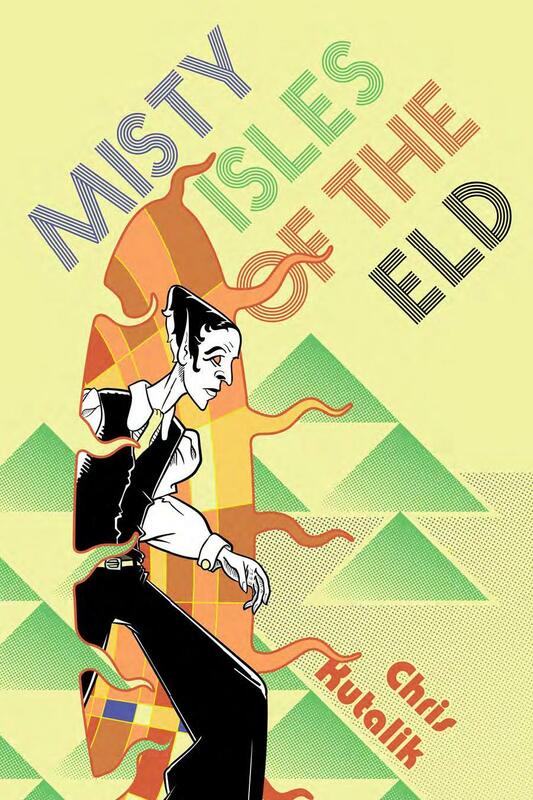 LotFP Weird Fantasy Skype Game, Anyone? I've been poring over my new copy of the Lamentations of the Flame Princess WF game (the free rules can be downloaded here) and finding it to be an interesting, quirky, horror-inflected take on OD&D or B/X-like rules. I have already stolen a number of nifty ideas for house rules in my own Labyrinth Lord tabletop and Skype campaigns. Still I'm interested in seeing how the whole package rolls when played straight. Anyone else out there interested in playing a Skype game using this rule set? 3. Sessions will be at least twice a month, most likely every other week. 4. Play will start around 6-8 pm Central U.S. time on weekdays (more flexible on a weekend). 5. We will use Skype for audio; Dragonsfoot chatrooms for the dice roller, and Dabbleboard for maps. All somewhat luddite-friendly to use. A new class from my compendium. Special thanks to Scott Moberly as co-creator. 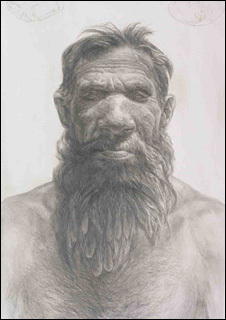 Feral dwarves are the deep-dwelling, untamed, neanderthal-like cousins of the more common dwarf. Their skin ranges from deep tan to light brown, and bright eyes which are almost never blue, with brown, black, or gray hair and ruddy cheeks. They are slightly taller and more wiry than their more domesticated cousins (ranging up to 4'6 and 140 pounds on the average). Feral dwarves speak dwarvish, gnome, goblin, kobold, orcish, common, and their alignment language, but cannot learn more than two additional languages regardless of their intelligence. Because of their background as miners and underground dwellers, they can detect by concentration within 10' any grade or slope or new construction (1-4 on a d6), sliding or shifting walls or rooms (1-4), and large stonework-type traps such as pits and dead falls (1-3). They can also detect with concentration depth under ground (1-3). They also have 60 foot infravision. Because they are unfamiliar with new-fangled civilized weaponry and armor, feral dwarves tend to choose simple weapons such as spears, hammers, axes, clubs, and javelins (though once in civilized environs they can employ any weapon they choose). Because of their unfamiliarity and lack of comfort with heavy armor they can only wear leather, padded, studded leather, hide/fur, scale, or chain armor. Feral dwarves also receive a +1 to hit orcs, half-orcs, goblins, and hobgoblins, due to an extended racial animosity. Coming from a living in the remote hills and being somewhat crude in nature, feral dwarves have the ability to throw small boulders effectively in combat . They gain a +1 to hit on this and damage is 1d4 plus any STR modifiers. If they have an advantage in terrain latitude over 20 feet (i.e they are on a hill) they gain +2 to hit and +2 to damage on top of their STR modifier if applicable. Some feral dwarves specialize in a primitive polished flint mallet. This wicked hammer inflicts 1d4+1 damage and on a roll of a natural 20 can knock its opponent unconscious/stun for 1d6 rounds. Living on the primitive edge is a hard life, thus feral dwarves gain the ability to forage for food and water in hilly and mountainous environments. At 1st level this ability they can do so successfully is at 30 percent. This improves at 3% per each additional level. They also have the ability to start a fire in any environment without the use of flint and steel at the same levels of success as their foraging skills. Example: Craggo Uthuk is a third-level feral dwarf. Craggo can successfully scavenge for food and start fires in the Big Rock Candy Mountains at a chance of 36%. Despite these differences, feral dwarves fight and save on the same tables as the Dwarf race/class. When a feral dwarf reaches 9th level he becomes a clan chieftain and can attract followers once he has found a suitable cavern. Optional rule: Feral dwarves do not receive starting money as other characters. Instead they start with a flint mallet, hide/fur armor, and 10-40 gp of simple equipment (food, torches, bedrolls, etc). In addition they start with a small horde of raw gemstones, 1d6 gems worth 10 gp a piece and 1d4 worth 20 gp. Back in yonder day, the artwork I found in all those many paper artifacts of old school D&D yumminess meant a good deal more to me than just aesthetic filler. Sure the printed words would hold a heavy spell, but it was those little line drawing and full cover art pieces that could just blast off little neurons at a mere glance. I often would immediately pull up a piece of graph or notebook paper and just start riffing. Poring over back issues of Dragon magazine the other day old forgotten memories of campaigns, dungeons, and the like came crashing back. Crazily it was often the small things that would start off things. Indeed one wee ad for an obscure little town setting, Jonril: Gateway to the Shrunken Lands, tucked away in one corner of a page (that the adult part of me now knows to be the pet campaign of the relatively well-known, if somewhat yawn-producing fantasy novelist Raymond Feist) launched my own first attempt at a homebrew campaign. The sight of those exotic, stylized-looking adventurers watching a caravan cross a narrow little wooden bridge into an inviting town clicked something off in my brain. 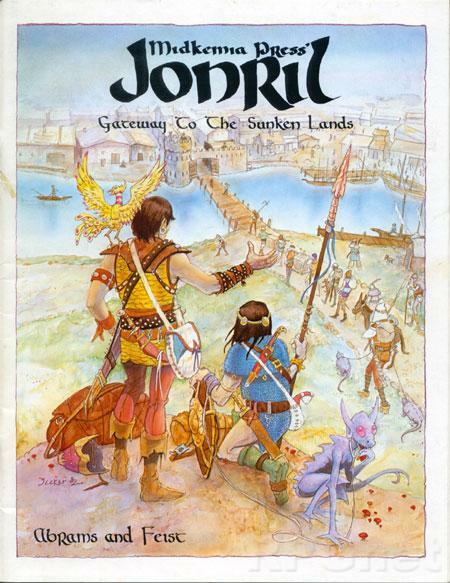 Although as a kid I never once laid eyes on this product, my own Jonril quickly took on a life of its own as my first real attempt to do something other than a dungeon. My Jonril became this mysterious, seedy city of merchants, necromancers, and thieves covering a small island in a volcanic lake cauldron. Literally years of adventuring went by without the PCs ever even leaving the confines of the city. Crazy elaborate heists and countless expeditions to the layers and layers of undercity beneath the streets were the order of the day. Good times. So friends, I'm sure I'm not the only one that had these little golden moments of inspirations. Love to hear your own stories of what piece cranked it up to 11 for you. And in honor of that kind of riffing I am going to be doing a series of posts on the images that launched a thousand ships for me. 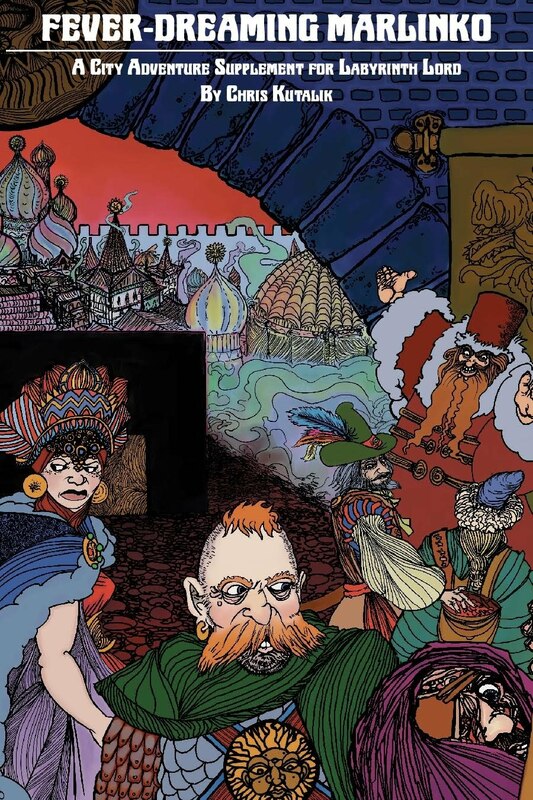 Next up is the moody, stylized art from the Rahman's brothers brilliant TSR boardgame Divine Right and corresponding series of Dragon supplementary stories, Minarian Legends. Rules tinkering seems as common as an affliction amongst old school D&D game masters as was the clap amongst the ranks of Napoleon's grumblers. As a ref I have been no stranger myself to this curious urge. 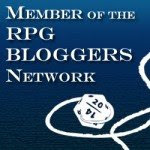 Recent exposure to such inspired re-workings as James Raggi's Lamentations of the Flame Princess WFRPG (a mouthful) and JB's B/X Companion has left me with a bad inflamed case of the itchies for sure. Inappropriate metaphors aside, I have been slowly accumulating a small horde of house rules, player options, variant classes and other crunchy bits from the last two years of play in the Hill Cantons in two cities (and a few countries if you count in my co-conspirators Skype games from Dragonsfoot). In a fit of pro-taskination (slough-off work to avoid the work of finishing an article for a real-world publication) last week I compiled these various bits into a working document called the Hill Cantons Compendium. Although a good chunk of the main section is likely only of interest to players in the campaign, the appendixes--most notably the three new variant classes for Labyrinth Lord and it's Advanced Edition book-- may be of greater interest to you the faceless hordes of the Internet. The current draft version of the Compendium is available for download here.